The Simon Technology Center helps children and adults with disabilities and their families use assistive technology to improve their lives. The Simon Technology center believes that technology allows children and adults with disabilities to keep pace with a rapidly changing world by providing opportunities for communication, education, recreation, employment, and independence. Bookshare is a free, accessible online library with eBooks and reading tools for your child with a print disability. This brochure provides more information on Bookshare’s materials, how to start using them, and who is eligible to access the library. Also available in Spanish. Information about assistive technology in-services offered through the Simon Technology Center. 2010. Information about PACER’s Simon Technology Center Lending Library and the benefits of being a member, including access to the assistive technology items available to try out and borrow. Provides information about Project KITE (Kids Included through Technology are Enriched). This is an early childhood training program offered to parents and professionals. 2009. Order a free brochure that provides information about the services offered through the center, including assistive technology library, community outreach, and consultations. 2009. Includes membership application form and library policies. 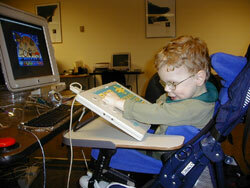 The library offers access to over 2000 assistive technology options to Minnesota residents. $50 annual fee for parents, $100 for professionals. Mailing service is also available. Updated 2006. Application form for free, informal assistive technology consultation for children or adults with a disability. A $50 refundable deposit is required prior to scheduling an appointment. Updated 2006. 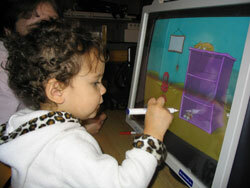 Provides information on assistive technology (AT) use with infants and toddlers for families and professionals. Also includes tips on how to find more information about AT. 2014. A guide for parents and professionals working with children ages 3-8 with disabilities. 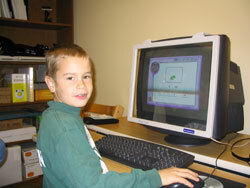 It provides assistive technology activities to encourage inclusion among all students. A wide range of devices and products promote best practices for home and classroom learning. PACER’s popular “EZ AT 2” book is now available in an iBooks edition. Complete with video, picture examples, an interactive glossary, and the full support of iPad’s built-in accessibility features, “EZ AT 2” brings creative ideas to life to help children ages birth to 3 with disabilities use assistive technology (AT) to participate more fully in daily routines and activities. Designed for newer generation iPads, the “EZ AT 2” iBooks edition can be downloaded free at the iTunes store. Learn how toys can affect the development of a child with a disability. This 12-page booklet outlines buying tips, categories of toys, and learning new skills through play. 2005, updated 2013.